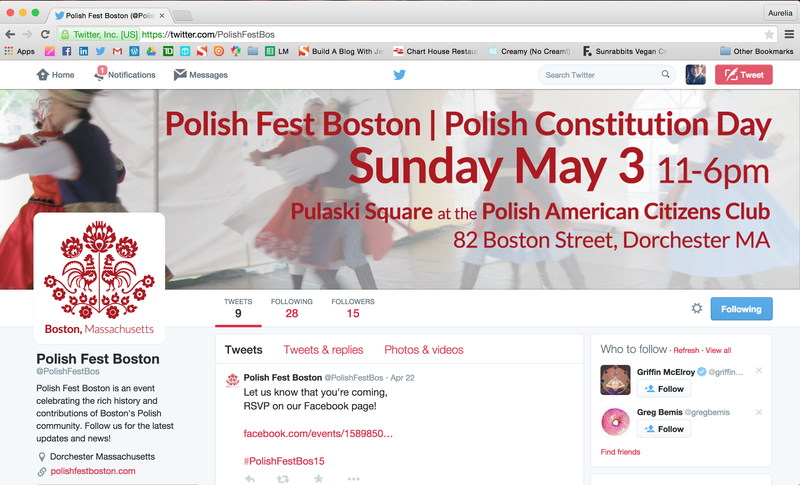 The banner as used on Twitter and a Twitter profile picture. The official design optimized for use on Facebook. The delicate floral wycinanki was too distracting for use with the added text elements. 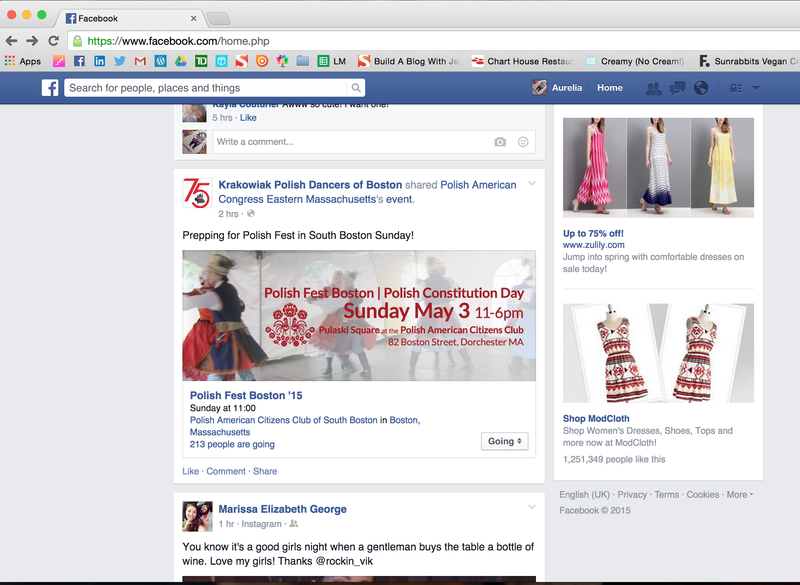 The simplified Facebook version also optimized the design for default resizing of the image. The design remains clear and readable on mobile devices. 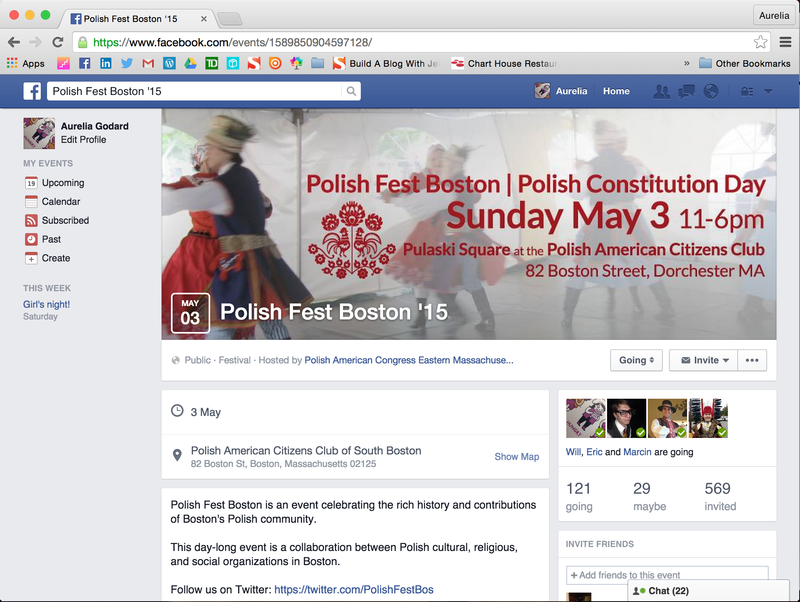 I worked closely with a web developer for the Polish American Citizens Club of South Boston to create a marketing campaign for Polish Fest Boston 2015, an event to celebrate Polish Constitution Day. 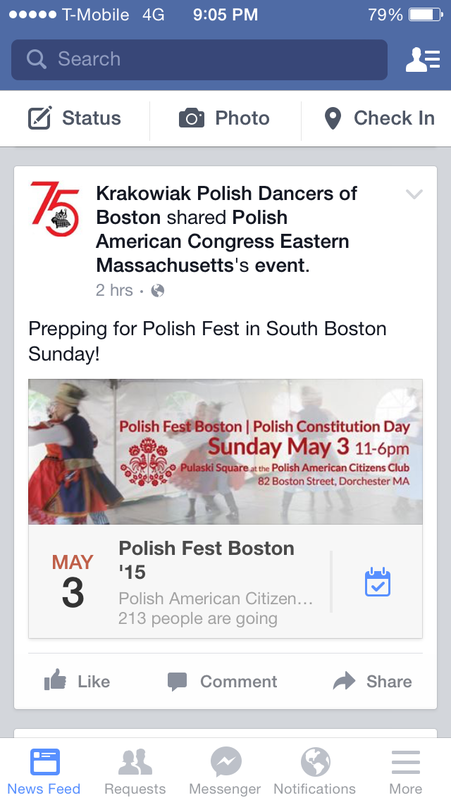 The photography incorporated features the Krakowiak Polish Dancers of Boston, a traditional Polish folk dancing group in Dorchester. The wycinanki design is an original illustration inspired by the traditional Polish cut paper designs. 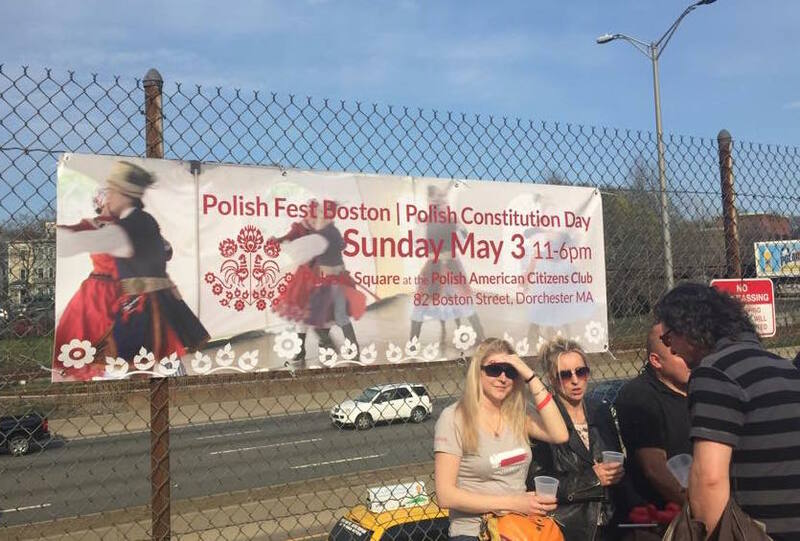 The campaign includes a website banner, Facebook cover photo, Twitter cover image and profile picture, and 2.5′ x 10′ printed banner that was hung at the event. The Facebook and Twitter banner images were simplified because these images are resized by default for use on mobile devices and previews in shared posts as well as posted inline with text in many cases. The official banner design is used on the website and the printed banner where extra design elements have room to guide the eye throughout the image.